At the writing of this article, Medical Cannabis laws exist in 41 US States, Districts, or Territories (23 States, District of Columbia, 2 Territories, 15 States- CBD Only). Over the Counter (OTC) access is available to adults 21 or older in 4 States, with even more on the ballot for 2016. The role of Nurses is very important during this fast-moving Revolution in HealTHCare. With more than 75% of States allowing certain patients to choose and safely access cannabis medicine, nurses are sure to encounter “Cannabis Patients” within our nursing practice. 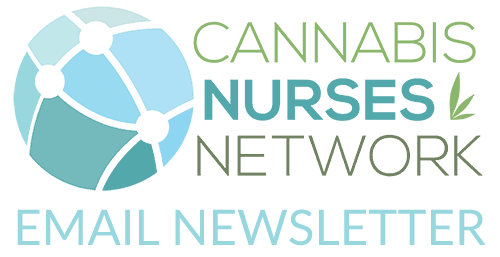 What should nurses know about Cannabis Patients? It’s important to remember that these patients aren’t “just a cannabis patient.” Cannabis patients can be pediatric, geriatric, psychiatric, oncology, neurology patients, or anyone in between. Many patients have been suffering from chronic debilitating conditions, and have tried nearly everything that conventional medicine had to offer. These patients have turned to Cannabinoid therapy as an alternative, complementary, or last resort option. If a patient dares to disclose that they are using cannabis as an option, nurses need to have the courage and knowledge to provide appropriate care, support, and documentation. Is the patient a legal patient in a State program? Ask to review legal State-issued Medical Cannabis Program card or paperwork. Does the patient have availability to access medicinal grade cannabis products safely? Ask which local dispensary the patient uses. Recognize that “dispensaries” are the functional equivalent to “pharmacies,” and it’s important to know that patients can legally & safely access cannabis medicine from one of these legal sources. Which methods of administration (MOA) are being used to support the patient’s Endocannabinoid System? Dispensaries provide multiple products that can be administered by various methods. Inhaled, Oral, Sublingual, Topical, Transdermal, and Rectal methods are currently available to most medical cannabis patients. Understanding the mechanism of action regarding each method of administration is important for nurses to understand. What benefits are being experienced by the patient as a result of Cannabinoid therapy? 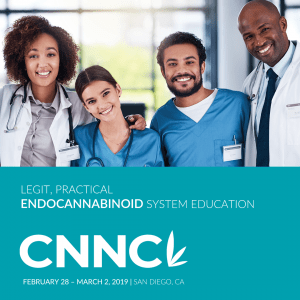 Patients and caregivers provide valuable assessment information regarding cannabinoid therapeutics for nurses and physicians. It is not uncommon for cannabis patients to request assistance from their medical provider to safely reduce or discontinue certain pharmaceutical medications. It’s important to always encourage patients to work with their physician while titrating down medications. We are Cannabis Nurses; caring, compassionate, and intelligent Nurses who deeply understand that EVERY patient deserves a Nurse.